This is where I'll post any models that I make with the goal of inclusion into Supertuxkart. Thanks, I was worried that the head might be too plain. This was based mostly off of this image and this site. Don't panic, the source for the calender stone texture is in the public domain in most countries. Not too sure about how this one turned out. I'm quite pleased with this one; it's probably one of the better models I've ever made. Contains only ao and normal maps, for lack of a good stone texture. Stone and dirt textures are by samuncle. Everything else I either made or found in the public domain. Really, really nice work. Really. I am sure samuncle will use them as they are of high quality and decent footprint (tris count). 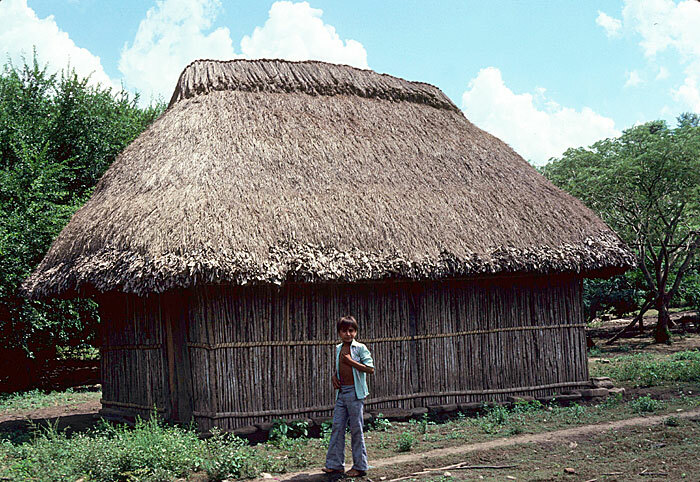 If you want a suggestion, I'd say that the hut walls could use some variation and not be completely straight, which is what you'd expect when people use logs as walls. But that is obviously up to you whether you want to improve it a little further. Great models, and I hope you will stick around giving us more nice contributions like these. Hey pal, I took an oath for justice! "In happy days or tightest tights..." or something like that. Very good. Maybe it's a bit flat, and I'm not convinced by the roof texture. I love this one . Definitely my favorite. I never had this idea so it's great to see what people can do with your initial statement . We can imagine using it has a trigger for the upcoming scripting. Anyway it will be used. Very cool pot. And with this basic object we can quickly make many variation to make different pots. I already made an aztec dragon . But having a bit of diversity is always a good idea. I made a completely new version of the pyramid. With more details and a better shape. Here is a view where your objects will be . Congratulation. It's almost perfect. I'm waiting to see what's your next surprise. I suppose your .blend are licensed: creative commons 3.0 ? @Arthur: Thanks, it's great (and slightly surprising) to hear such a positive response. @Samuncle: I'm not exactly happy with the Aztec home's textures either, but I'm not good enough at drawing textures to make any better ones. If you send me a wooden texture formatted like the one below, I could rebake the textures and it would probably look much better. Also, that pyramid looks awesome. I can't believe that's what it looks like ingame. It's just such an improvement from 0.8.1. EDIT: Where legally possible, any and all files that I either link to from or post to this forum thread are hereby released under both Creative Commons Attribution 4.0 International and Creative Commons Attribution 3.0 Unported. Last edited by Anon on 13 Aug 2014, 01:39, edited 2 times in total. I will try to make better textures for the roof. Anon do you know how to make characters ? Not really. I could try though. I will do the characters needed myself . Also I have made some changes on your altar. It's minor but useful to know. Once it's finished, I will explain what I did because I think it's useful for everyone. I started to include your objects and I notice some little issues. 2) ALso a texture like that should be repetitive in X and Y axis. So we can use it in even more situation. You see it's a good optimization. With one texture you can do several different object. Here is my current version so you can compare to yours and see what I changed. The rope will be in another texture. After I made the last batch of models, I realized that I could probably seperate the ambient occlusion from the main texture, and put it in the lightmap. Would this be desirable? In the picture of the village, is normal mapping enabled? It looks pretty flat to me, especially the area around the torches. A decent-ish model from the wrong civilization. My first attempt at giving my models more of a cartoon feel. Yes, they're released under both Creative Commons Attribution 4.0 International and Creative Commons Attribution 3.0 Unported. @samuncle: Now that I'm more or less done my arena, I can start making objects again. Can you update the object list to reflect what's most needed now? Also I used the majority of your objects in chocolate . Some not in the way intended ^^ but I will soon make some screenshots so you can see where they are . Great, I look forwards to seeing where my things have gone. Here's a bean for the cocoa tree. I thought it would be good for the trees and beans to be seperate objects, so that every tree can have a unique number and placement of beans. Comes with hipoly, so you can rebake the normal mapping if you think the bumps are too much. A bit simple, I know. I'm just trying to get back into making models. Best viewed from the front. I made an airplane built by Airbing with TCP Trans Continental Post delivery (it's easy to change the delivery). It will be used as a part of the landscape or flying above cities. I'm not sure if she can fly in real life ^^. It's roughly based on several different planes.